I felt compelled to write a few words of thanks to all that have helped to make Wallace Knives come to fruition. First and foremost, I want to thank God for giving me the ability to make tools by hand that people may actually like and use. I’d also like to thank my beautiful family, my wife Christina and daughter Lacey, for all their support. Thank you for understanding when I just can’t seem to turn the grinder off. I love you both! My father for instilling in me a good set of morals and a good work ethic. Andrew Demko for his friendship and all his help and knowledge. Bob Poole, the man with the plan! Your kindness and generosity are without equal. Your belief in me and my knives was vital in getting me up and running. Thanks for all the time you have put into making all this possible. The website and e-magazine would not have happened without you. Phil Elmore. Thanks for taking the time to review my knives, Phil, but also, thank you for being the editor of this e-magazine. I appreciate all your time spent to make this become a reality. To my customers, I want to thank you most of all. You are crucial to the success of Wallace Knives. It is an honor to have something I made carried and used by you. 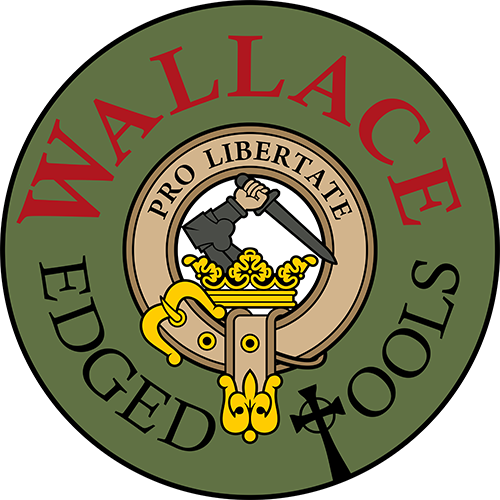 You are part of the Wallace Knives family. Thank you so much!